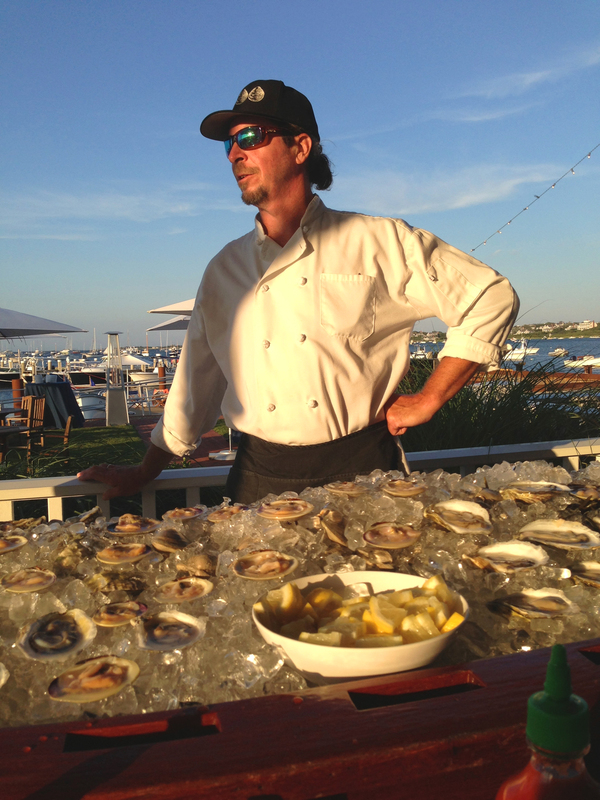 Serving up the freshest shellfish on Nantucket from his custom wooden dories, the Raw Bar Yoho is equally comfortable shucking for your party in a tuxedo or a pair of board shorts. A fisherman, hunter-gatherer, forager and avid cook, the Raw Bar Yoho will happily cater your event on or off the beach. See the Yoho in action at Cisco Brewery during the summer months on Nantucket Island and follow his off season rants and yarns on his Essays page. Whether it’s freshly dug littlenecks from Tuckernuck Island at your next cocktail party, a raw bar laid out with specialty toppings on a custom mahogany boat or a full lobster boil with homemade award-winning chowder for your family reunion, the possibilities are endless.